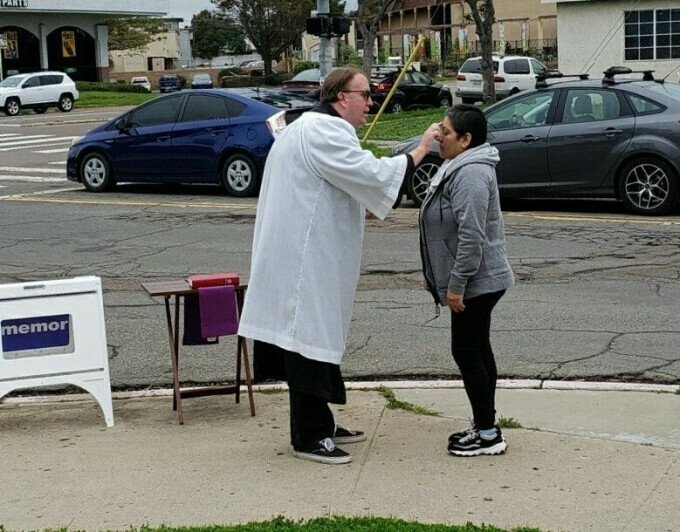 Pastor Jon and the congregation of Clairemont Lutheran Church / Iglesia Luterana Clairemont invite all people, no matter who you are, to come celebrate Jesus with us during Holy Week and Easter. You are welcome here. Check out this year's Holy Week and Easter schedule of worship gatherings. Christians are often known in society as Sunday morning people. It's true, we are. We meet every Sunday morning to praise God, share the gospel of Jesus Christ, pray, share the Lord's Supper, and depart in service to God and neighbor. And then... the church doors are locked. For some congregations, this is a reality. Sunday morning is it. But for other congregations, like ours, Sunday is just the beginning. We have other happenings around our church campus, and for us the next biggest day is Thursday, where our Thursday Nights Together program brings people from different background together for a meal, followed by bible study for the adults and choir and drama programs for children and youth. Yet... the church doors may not be open when a lot of people find themselves having a free hour. Different jobs, different schedules and responsibilities sometimes prevent people form making a Sunday morning worship gathering, or an evening bible study. It's a challenge for congregations. We have limited staff, volunteers and resources. But how do we reach those who can't make it Sunday mornings or Thursday nights, or to special worship gatherings? I heard in a sermon once "the church doesn't exist for those within the four walls, it exists for those outside of the four walls." Taking the message of the love of God and grace of our Lord Jesus Christ to those in the community... where they are... is our next step. Last year we began Ashes to Go. Pastor Nate and I went to the Clairemont Town Square, then to Vons on Balboa. We encountered seven people who wished to have ashes imposed upon them. This year, we tried some different locations and encountered 31 persons who wished to receive ashes, one person who just wanted prayer, and one person who just wanted to have a conversation. This is how we reach those who are not otherwise connected to a community of faith. This is how we bring our message of grace, mercy and love to the community... by showing up on a street corner, with a sign: "Ashes and Prayer to Go".